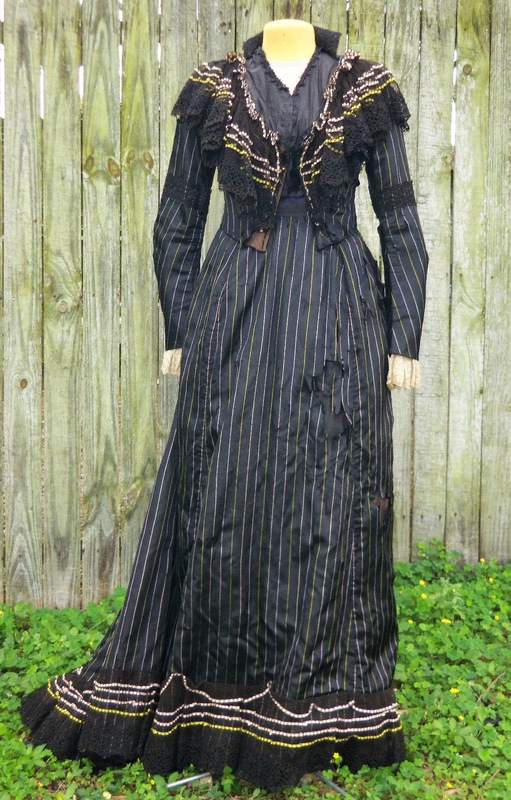 This auction is for a fantastic original lady's Reception dress from around 1890. 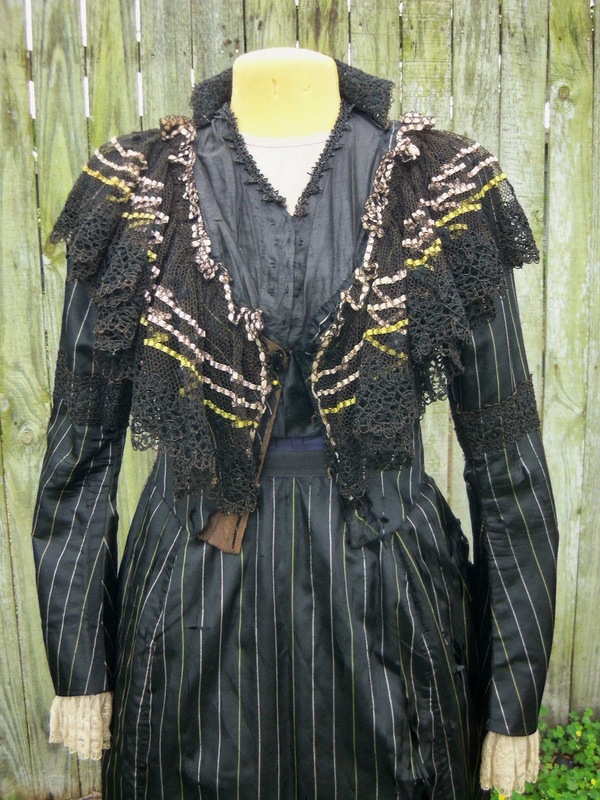 It was purchased in New Orleans from a shop on Decatur street in the French Quarter. The shopkeeper said he'd purchased it as a de-aquisition from the Herman-Grima house also in the French Quarter. I visited this fabulous home. For those American Horror Story fans, the Herman-Grima house interiors were used in the show as the flashback interiors of Delphine Lalaurie's mansion (also in the French Quarter). 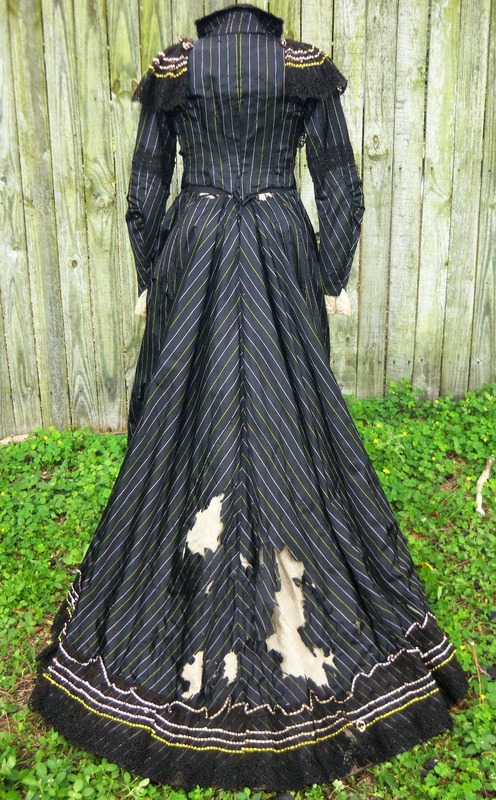 This dress's style is perfect for beautiful New Orleans! 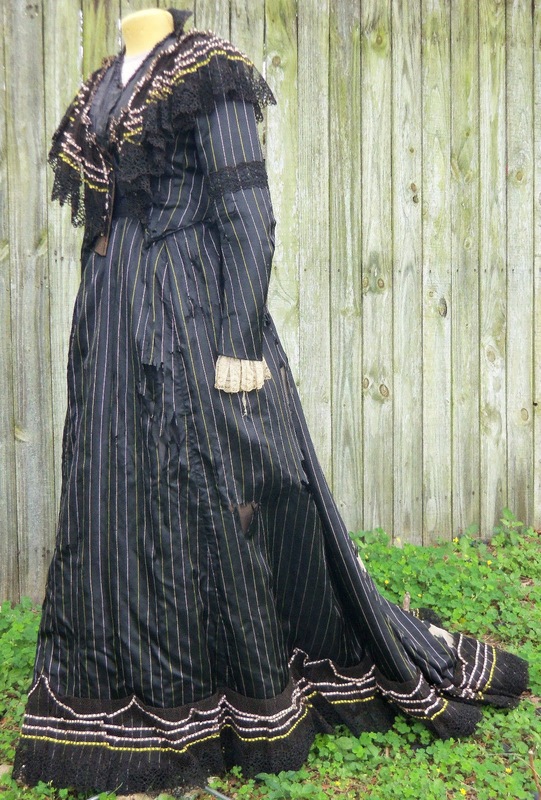 The wonderful striped silk is perfectly accented by the wrought-iron-like lace interwoven with silk ribbons to match the stripes. 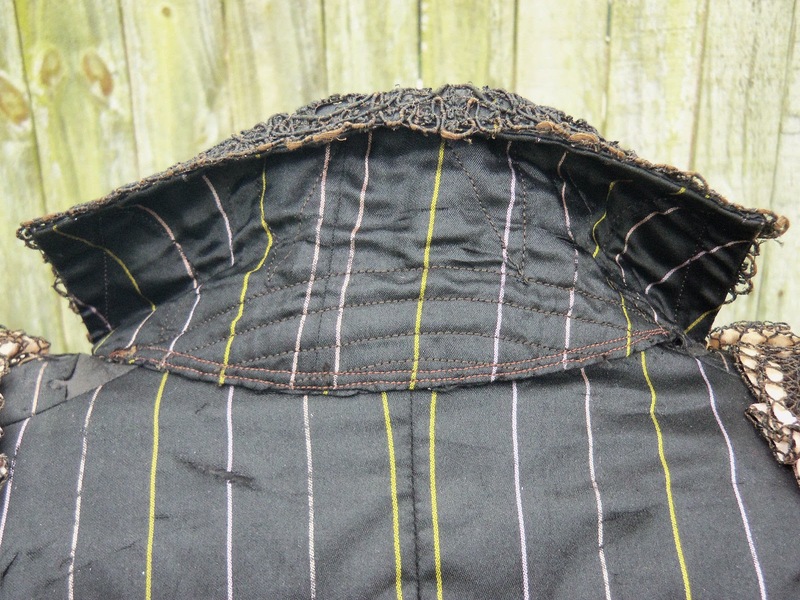 The sleeves are transitional from the tightly fitted 1880s sleeves which started developing gathered sleeve heads around 1888 to the enormous balloon sleeves of the mid 1890s. What's left of the original petersham reads: "Cannon & Rich modiste". Condition is fair with shattering and splits. 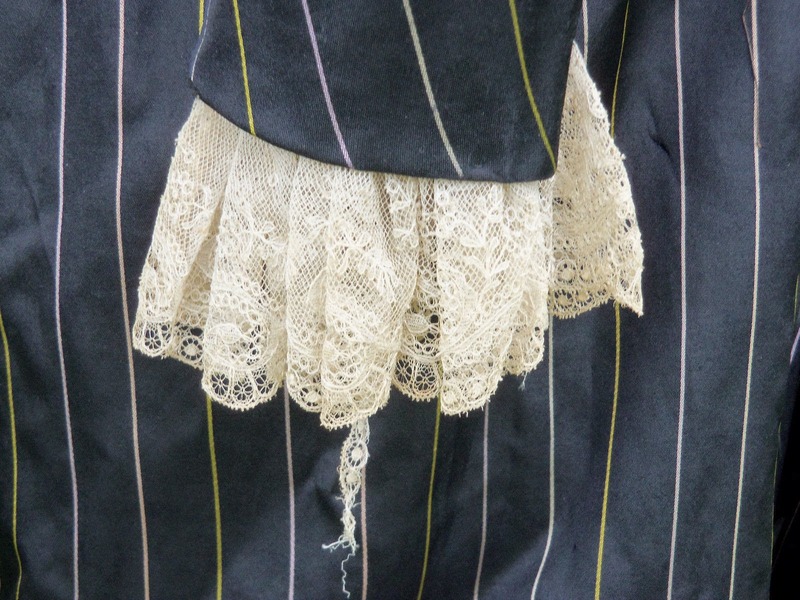 The petersham has been replaced and the silk covering the upper part of the bodice is gone. 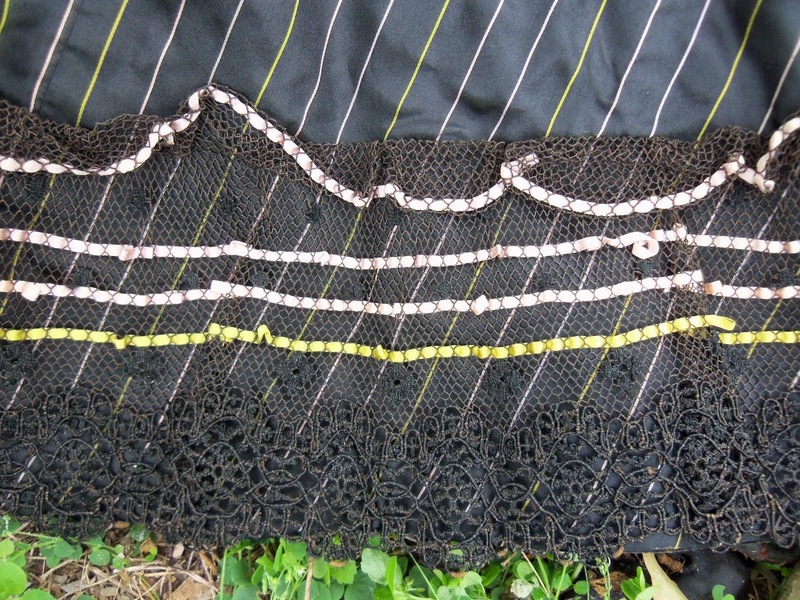 The exquisite lace is in wonderful condition and the size is perfectly suitable for display or patterning. 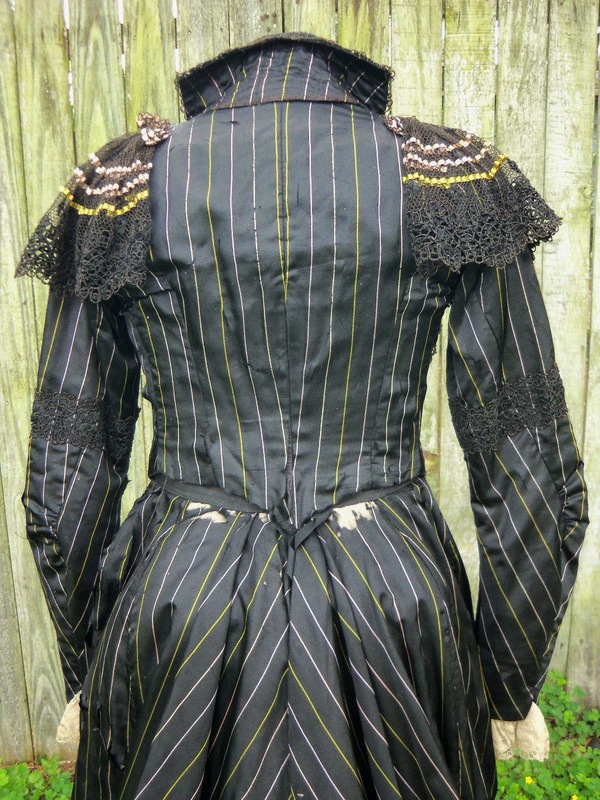 Actually, the sleeves are in the post enormous Leg O Mutton style, popular in at the Turn of the Century. 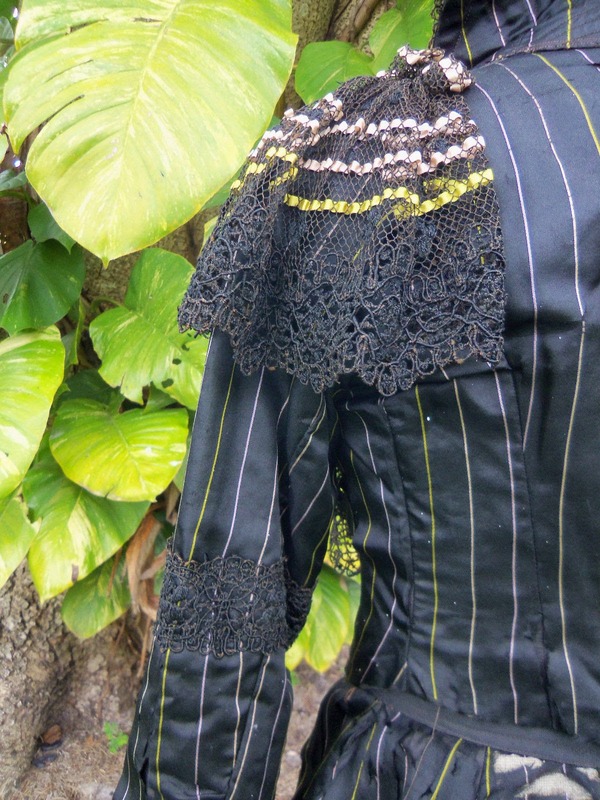 The massive lace "cape" around the shoulders was popular from 1898 until 1902.